GastroCure (West Orange) - Book Appointment Online! 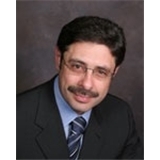 Gastrocure headed by Dr. Vitaly Fishbein is a New Jersey based practice of general gastroenterology with strong experience in Neurogastroenterology and motility disorders of GI tract. We provide a full range of diagnostic and therapeutic procedures. These include comprehensive cancer screenings for colon cancer and Barrett's esophagus, pelvic floor dysfunction including intractable constipation and rectal incontinence. We also provide treatment of hemorrhoids using CRH O'Regan system of rubber band ligation. This is one of the least expensive and most popular procedures for non-surgical hemorrhoid removal in the world. Our office has unique, for Northern New Jersey, esophageal and rectal motility lab with full range of sophisticated equipment including 48 hr PH Bravo, High-Resolution Esophageal Manometry and Rectal Manometry.